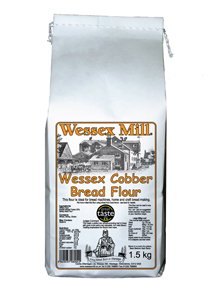 Our flour is milled using local wheat that we collect ourselves from farms surrounding the mill. We ensure we only select the best wheat with high quality gluten by testing samples before we bring any into the mill. Being a small mill means we can store the wheats from each farm separately without batching. 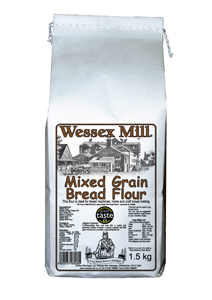 This allows us to carefully select the wheats that we mix together for the grist to produce quality consistent flour. 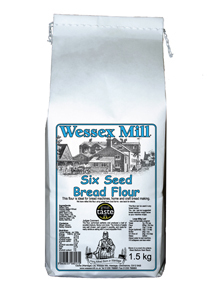 Wessex Mill is a traditional roller milling process, as opposed to the modern energy intensive method of debranning the wheat before grinding it into flour. 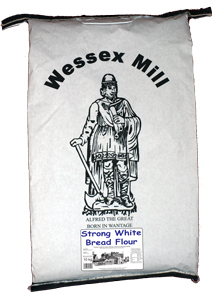 We mill our flour slowly; this means the flour doesn't heat up as much as other flour mills, preventing the protein from damage. You can find the names of the farms that we use on the packet. We always welcome enquries. So please call us on 01235 768991.